Just as you do with your home or car, as a business owner you should be keeping up regular property maintenance on your commercial premises. Of course, there are regular tasks that relate to the up-keep of your building that you’ll be reminded to do as part of your Health & Safety, Human Resources and various Insurances. 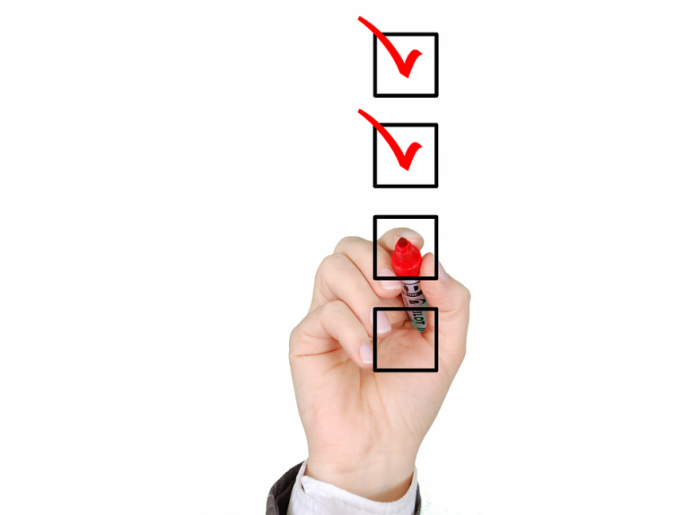 Very often you’ll have service workers (and payment renewals) to help with these tasks and to remind you of inspection dates to keep up with. You’re also likely to have staff around to tell you when something needs looking at as things go wrong. Taking care of your commercial building’s exterior is as important as taking care of its interior. Just like homes have “curb appeal” when it comes to selling a house, offices have a brand image to uphold. And first impressions do count. Keeping on top of the exterior office maintenance tasks in an organised way has the potential to help you save money from making refurbishments or repairs instead of having to make pricey replacements. Just as importantly, a timely approach to maintaining the outside of your office building can also save you time and a lot of hassle from being prepared for the changing seasons. After all, there’s a lot that can go wrong in extreme heat of summer or extreme cold of winter that gets exacerbated by the elements if you don’t keep an eye on them! Look for any loose or missing roof tiles, gaps in the brickwork, and loose pointing – anywhere water could penetrate. Any cracks in paving will need re-sealing before winter as water can freeze in them, making them expand and crack further. Prepare the area for winter by making sure security measures like lightening and CCTV are all working as they should ready for the longer, dark nights ahead. Similarly, having a salt bin and shovels available will help office staff too. A little cleaning goes a long way. And regular cleaning can even help to prevent damage and identify anything that needs repairing or recoating before it goes too far and needs completely replacing. Get the professional roofing and cladding cleaning experts in early or on a regular “care and repair” service package to guarantee you get a safely executed and proficient service to make your building shine. Trained operatives at Buckingham Coatings are able to use access equipment and cherry pickers to work at heights of over 300ft and clean up those difficult to reach areas. The team guarantees to be able to professionally clean aluminium, plastic UPVC, stainless steel, glass or another cladding material, irrespective of what is used in the construction of your building, and all with minimal disruption to your business too. Clogged gutters can overflow and break, which in turn can put a strain on the roof itself. Having the gutters and drains cleared so that all guttering and downpipes are in good condition to carry water away will help to prevent problems associated with winter when ice can cause thawing damage or extra pressure on the pipes and roofing. Just like keeping your cladding clean, keeping your building’s gutters clear can save you money on having to replace them, and even on having to repair roof damage. Buckingham Coating’s dedicated industrial roofing services include roof coverings, gutter lining, asbestos roof repairs, roof coatings and roof treatments as well as industrial cleaning services. Should you have any damaged cladding or areas of failed coating on your building, why wait for winter to do its worst? Instead, call in the professionals to treat it so that its protective qualities are preserved before a complete replacement is needed. This can be done without disruption to your everyday business operations through repairs and industrial paint spraying being done on-site outside of your business hours. 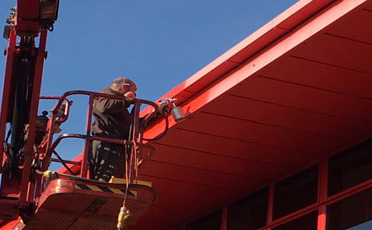 Buckingham Coatings carries out restoration and remedial work on numerous surfaces, substrates and cladding panel types including: aluminium, stainless steel, galvanised surfaces and powder coated cladding.